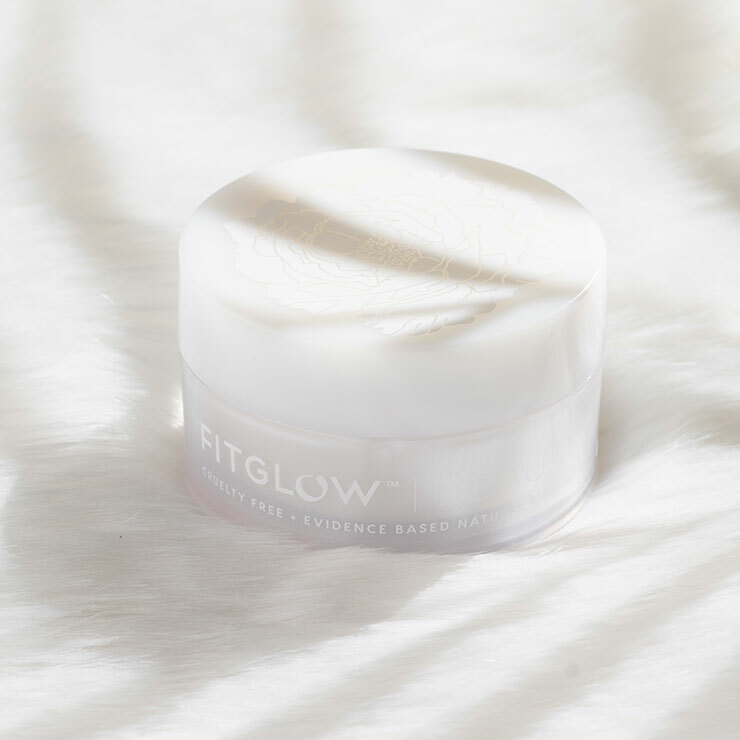 Moisturize dry, sensitive skin with Fitglow Cloud Ceramide Balm, carefully formulated to offer maximum hydration while soothing the appearance of redness, irritation, and rosacea. 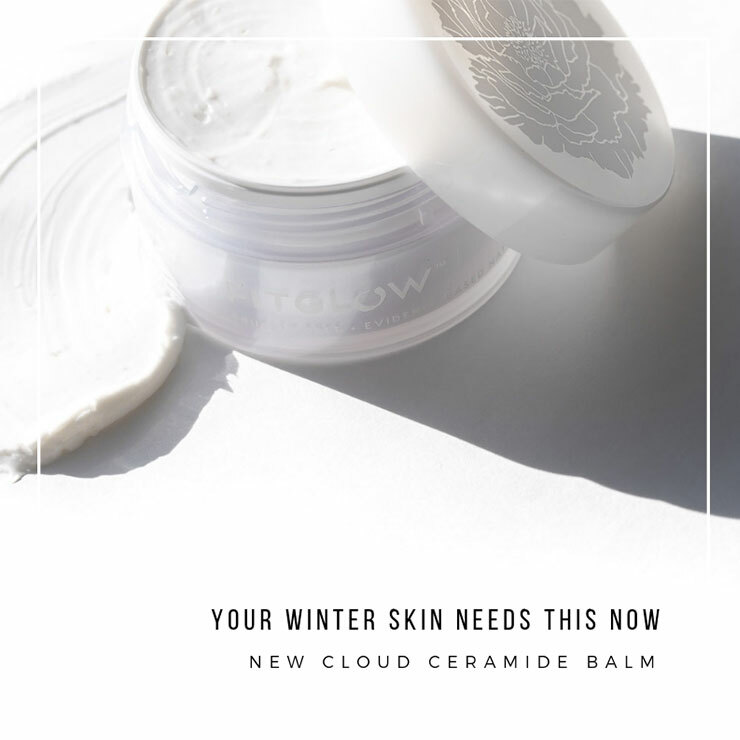 Cloudberry and plant ceramides provide a feeling of deep down protection and replenishment, while chia visibly diminishes discoloration. Cucumber lends a cooling and calming sensation to upset skin and gotu kola creates a firm, smooth looking complexion. 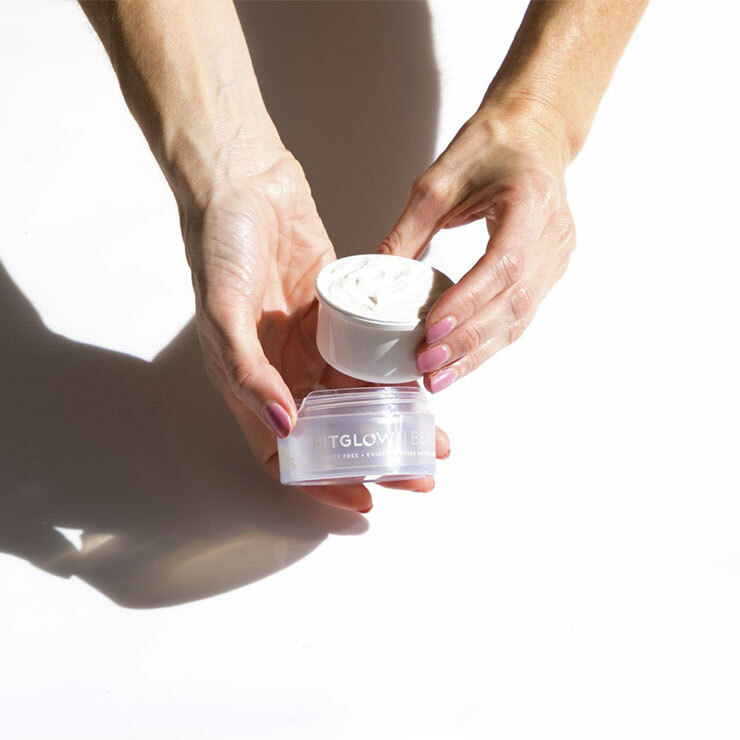 Skin is left looking balanced, even toned, and glowing with a comfortable feel that lasts all day. 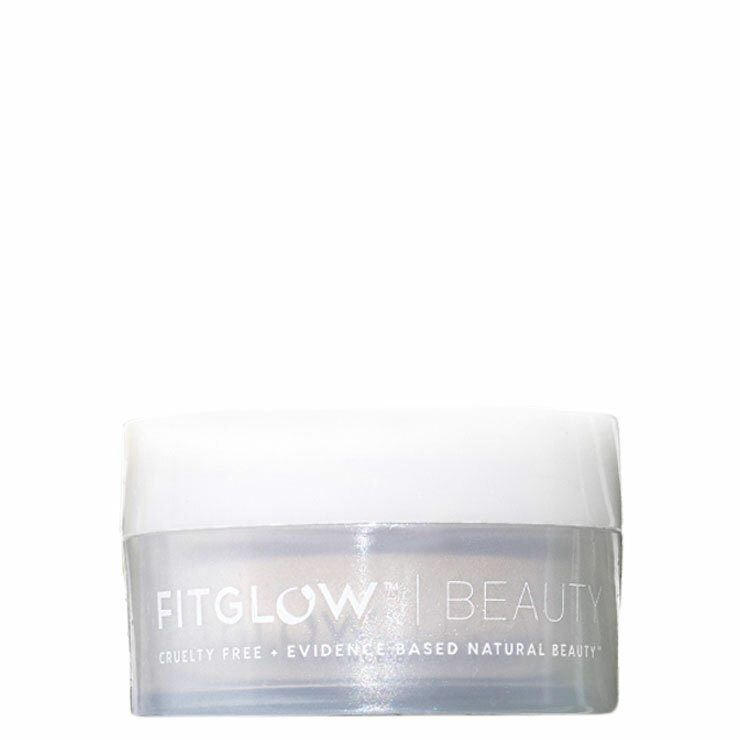 Purchase your first complete jar, and then purchase a refill to replenish, using Fitglow's new refillable system that is lighter on packaging. 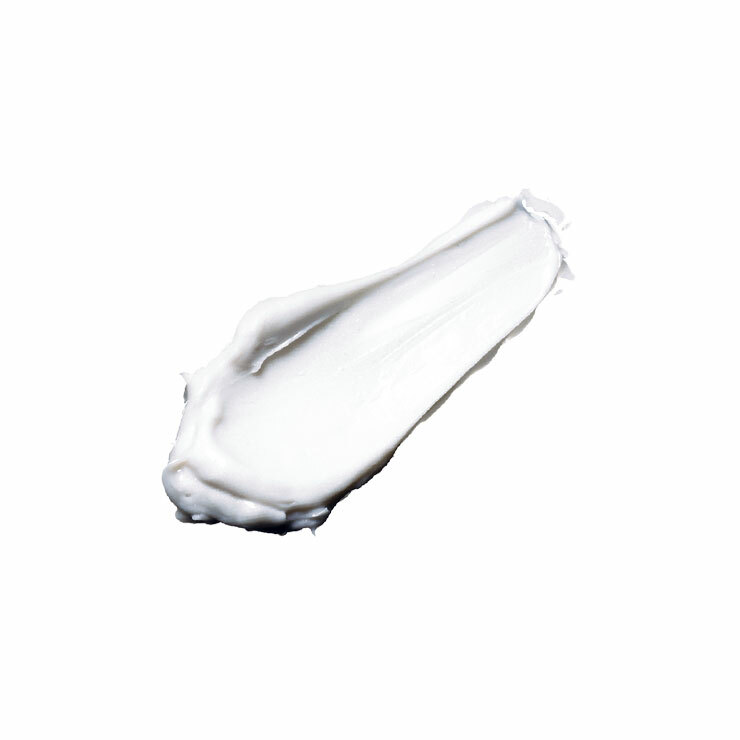 Gently massage onto clean skin to provide a feeling of calming moisture. 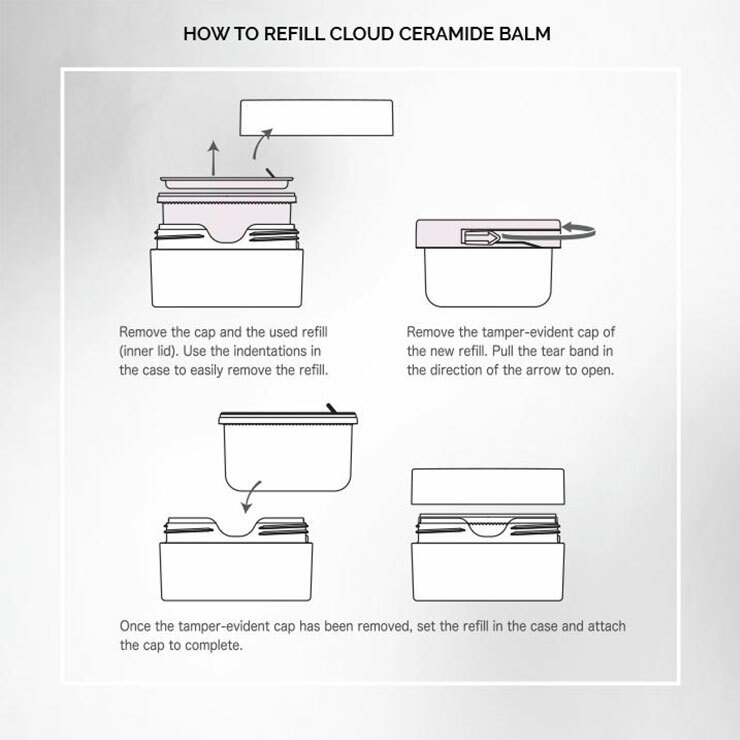 May be used alone or over facial serum. Use morning and night for best results. Aqua, Cetearyl Olivate, Sorbitan Olivate (Olive Source), Butyrosper Mum Parkii (Shea Butter)*, Argania Spinosa Oil (Argan)*, Simmondsia Chinensis Oil (Jojoba)*, Vitis Vinifera Oil (Grapeseed), Limnanthes Alba (Meadowfoam Oil), Rubus Chamaemorus Seed Oil (Cloudberry), Glycerin & Glycosphingolipids (Plant Ceramide), Cucumis Sativus (Cucumber) Fruit Extract & Mentha Spicata Flower/Leaf/Stem Extract & Geranium Maculatum Extract & Citrus Aurantium Amara (Bitter Orange) Flower Extract, Cetyl Alcohol (Plant Source ), Water & Phospholipids & Allantoin (Liposome), Helianthus Annuus (Sunflower) Seed Oil & Arnica Montana Flower Extract, Benzyl Alcohol & Salicylic Acid & Glycerin & Sorbic Acid, *Oryza Sativa (Rice) Extract* & Water & Centella Asiatica Extract (Gotu Kola), Leuconostoc/Radish Root Ferment Filtrate & Lactobacillus & Cocos Nucifera (Coconut) Fruit Extract, Sodium Hyaluronate (Hyaluronic Acid), and Salvia Hispanica (Chia) Seed Extract.